We think it could be a great shampoo for you. 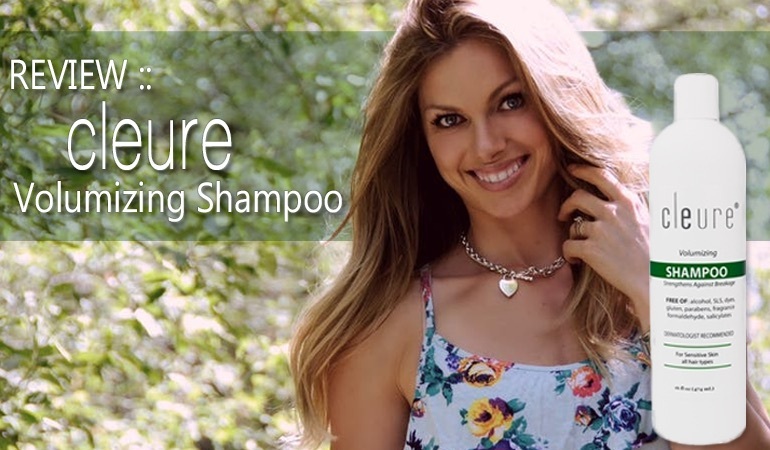 Cleure Volumizing Shampoo is labeled sulfate, paraben and formaldehyde free shampoo for sensitive skin. My interest was immediately piqued. I have to admit, I didn’t know too much about Cleure before this review but they are a personal care company that specializes in “hypoallergenic” skincare and hair care products that are free from harsh ingredients like SLS, parabens, dyes, formaldehyde, salicylates, fragrances, and irritating gluten. Regular readers of this site know that “hypoallergenic” is a bugbear of mine. Not the concept. The usage of the word. Anybody can say any product is hypoallergenic regardless of the ingredients. It’s a meaningless, empty, unregulated phrase. However, Cleure actually seems to use it in the right context i.e. they have actually tried to formulate a contact allergen/irritant free shampoo. As one of the products approved and verified by the American Contact Dermatitis Society as an allergen-free shampoo, the Volumizing Shampoo from Cleure offers sensitive skin sufferers and those with a dry, itchy scalp relief from redness, irritation, flakes, and itchiness. We have high hopes for this shampoo and hope that it truly lives up to its reputation! How it Looks: Arriving in a neatly packaged box, the shampoo comes in a clean professional-looking bottle. Its design skips the frills, colors, and pictures for a simple label that speaks of its therapeutic qualities. The shampoo itself is clear since it is made without any artificial dyes. How it Feels: The shampoo is very slimy and feels gel-like. It clumped up a bit when I put some in my hands and took quite a bit of rubbing and water to get it to foam up. It may take a little longer to spread around and wash your hair than normal. Especially if you have long or thick hair. It doesn’t foam like an SLS laden shampoo. How it Smells: The shampoo doesn’t have a smell, being fragrance-free. It has a very mild scent of soap and seems a suitable option for sensitive skin that typically reacts to artificial fragrances and colors. How it Washes: As we mentioned, you’ll need some patience with this shampoo to get it to spread around nicely on your scalp and foam, but when I used it to wash my hair, it was incredibly gentle and left no redness. This shampoo is one of very few that hasn’t made my scalp red or given me a very uncomfortable burning feeling. It’s not a salon grade SLS fuelled wash and some reviewers didn’t like the feel. However given the lack of any burning red face – I was delighted with the performance. Possibly the greatest part about this shampoo is its ingredient list. There are only eight ingredients and the majority of them live up to the shampoo’s claims of being safe and gentle for sensitive skin and for not causing any negative reactions. 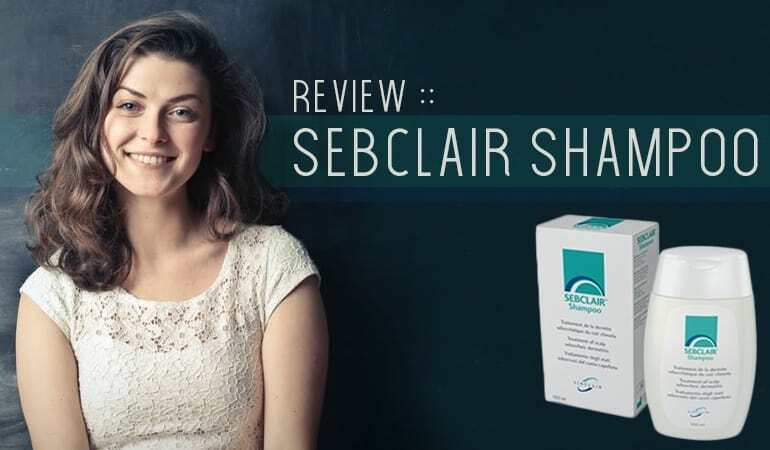 While it is not specifically designed to treat dandruff, the majority of flaky scalps are due to dryness and not a fungal overgrowth, and this shampoo may be all it takes to treat an irritated, dry scalp. 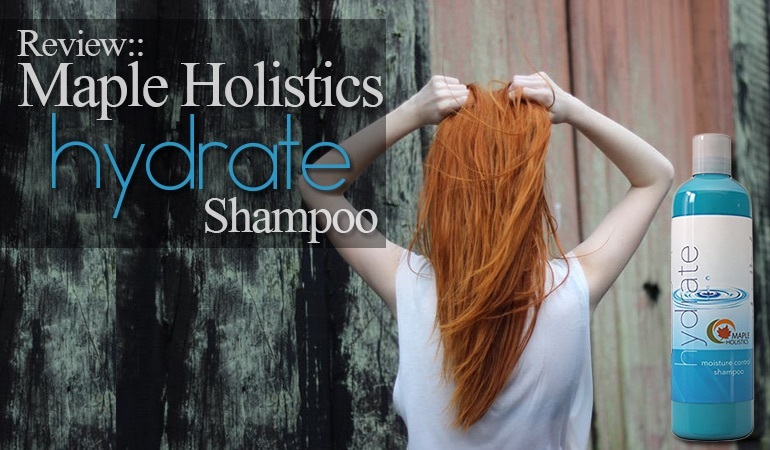 Decyl Glucoside, a mild glucose-based surfactant that helps to give the shampoo its cleansing power. It’s often used in baby shampoo and in products designed for sensitive skin. Lauramidopropyl Betaine is a gentler alternative to the common contact allergen that’s in many, many shampoos, Cocamidopropyl Betaine. This ingredient is a mild surfactant, foam booster, and skin conditioning agent. Cocamide MIPA is a gentle surfactant and foam booster. Glycerin is a natural hair and skin conditioner found in many personal care products. Hydroxypropyl Guar helps with the binding of the ingredients and to form a film in the shampoo. Caprylyl Glycol is a gentle emollient and hair conditioning agent. There are two ingredients in this shampoo that rank high enough on the EWG Skin Deep database to cause us to consider them potential irritants. Vitamin E Acetate is an antioxidant and skin conditioning ingredient that helps nourish the scalp and reduce redness and irritation. However, it being an acetate and not the pure form of vitamin E (tocopheryl), it can potentially cause irritation and contact dermatitis. It ranks a 3 on EWG and should be avoided if you have severely sensitive skin, are allergic to this ingredient, or simply wish to avoid all synthetic chemical compounds. Potassium Sorbate, a fragrance and preservative used in many personal care products and even food (including the shakes from McDonalds). Ranking a 3 on EWG, Potassium Sorbate is a concern for those with very sensitive skin and there’s strong evidence that suggests it’s a skin toxicant and allergen. Despite having two potential allergen ingredients, we still consider the Volumizing Shampoo from Cleure to be a good option for those with mild sensitive skin or a dry, itchy scalp. For those sensitive to either Potassium Sorbate or Vitamin E Acetate, I would look elsewhere. But if you normally don’t react poorly to gentle formulas like this one, we suggest giving it a try. Neither of the potential irritants are serious or very harsh, and probably won’t affect your skin at all. We would have liked to have seen absolutely zero potential irritants, considering the shampoo’s placement on the list of allergen-free products from the American Contact Dermatitis Society, but perhaps there is no perfect shampoo since everyone is different and reacts differently to various ingredients. If you’re sick of shampoos that say they’re made for sensitive or dry skin, but have a laundry list of unpronounceable ingredients, we think you should give this option a shot. Please update your review to say that Cleure has completely changed the formula of this shampoo. I don’t know when they changed it, because this was the first time that I had bought/used their shampoo, but I bought a bottle of it last month and it’s a totally different formula from what is listed here. Here is the new formula of their shampoo: Purified Water, Sodium C14-16 Olefin Sulfonate, Coco-Glucoside, Disodium Cocoamphodiacetate, CocoBetaine, Ethylhexylglycerin, Glycerin, Polyquaternium-10, Disodium EDTA, Sodium Chloride. I tried the Cleure shampoo (and matching conditioner). In terms of how it affected my hair’s condition and appearance, I thought it was possibly the worst shampoo/conditioner I’ve ever used (and I’ve used hundreds of brands over the last five decades). In terms of how it affected my skin areas that have dermatitis, it didn’t cause burning or redness on my face, but it did cause a few scalp and back-of-neck pimples. I was disappointed, since I’ve tried so many other kinds in the last few months and I am really getting to the bottom of my list of possibilities to try. I was also disappointed because it was so expensive to order/ship this. So, you might want to try out the new formula of their shampoo and update your review with your experiences. Of course, it might still work well for you, which would be great. Thank you! I had no idea there was a new formula. If you get in touch using the contact us form, I can discuss that review with you if you like.